Research has shown that forces applied to teeth by clenching can be many times stronger than during regular chewing. Many people do not realize the damage happening to their teeth and jaw joints (TMJ) until it becomes significant and painful. An unexpected broken tooth could be your warning sign. When you move your jaw during chewing, the upper and lower teeth come together with the help of chewing muscles. Bruxism can enhance the jaw muscles fatigue, which can lead to muscle spasms in head and neck, headaches, earaches, ringing in the ears or facial and scull pain. Bruxism could appear during day or night. Episodes of night time bruxism occur during different stages of sleep of 80-90% adults. However, audible sounds from tooth grinding are only heard in 20% of the time. Therefore, you might not be aware of this damaging habit. Besides jaw joint/teeth misalignment, bruxism could be caused or enhanced by psychological and emotional events or systemic conditions (medications, alcohol, and genetic predisposition). The signs of tooth grinding could be tracked and recorded by examining wear patters on bruxers’s teeth. 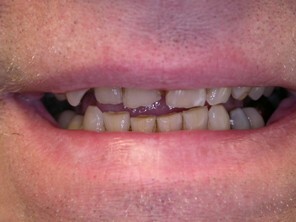 Worn and flattened cusp surfaces are the first sign of tooth grinding. Once the hardest outer layer of tooth (enamel) is gone, wear of the softer inner layer (dentin) goes much faster. Often damaged teeth are capped, removed and replaced, or refilled. But that’s usually only a quick fix. The problem still remains, so it’s only a matter of time before the teeth begin to deteriorate again. Then you’re back in the dentist’s chair getting another root canal or having new porcelain crowns and veneers repaired. When examining your teeth, we try to understand how your teeth evolve to their present condition. Since most of new materials used for cosmetic and esthetic dental work are susceptible to breaking, we need to pay attention to teeth/jaw misalignment and bruxism habits. The treatment often starts with an appliance called a bite splint. It allows your jaw muscles to relax and permits your jaw to assume its natural position. 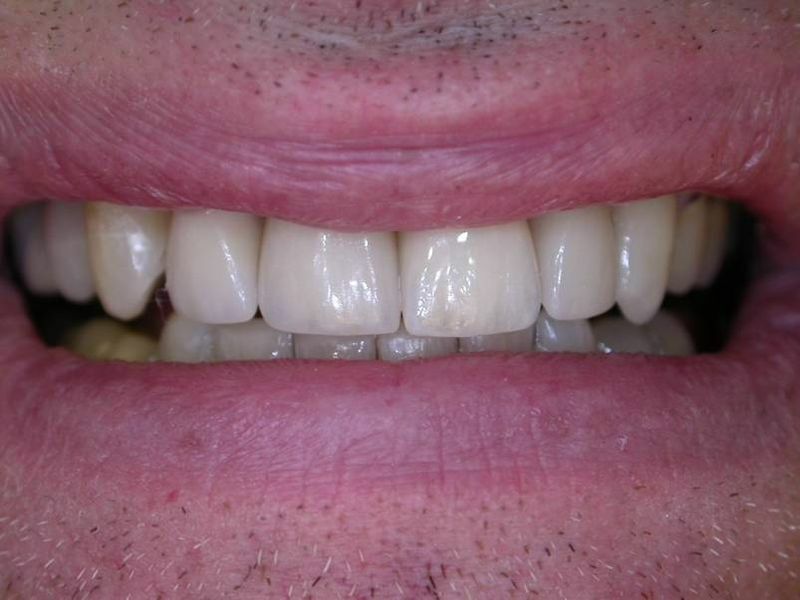 Once the natural position is established, teeth can then be reshaped or restored to achieve an esthetic result with a comfortable bite. Preventing and treating occlusal disease can lead to long-lasting dental health as well as to predictable restorative success.